Our homes have everything your family needs to be comfortable, have fun, and stay safe. We’re not your typical property manager. We guarantee a high standard for every aspect of your stay, from home design and amenities to service and hospitality. Please contact us if you have any needs we can address! Keyless entry, fresh linens, fully-stocked kitchens, laundry, wifi and game rooms - to name a few. See the full list below. 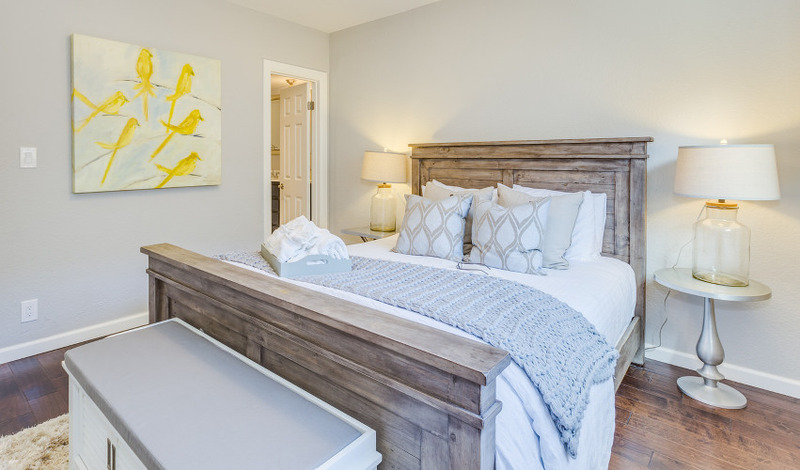 Custom designed homes with plenty of room to spend time together as a family and personal space for yourself. Plan your perfect stay with us. We'll find what's best for you, from the ideal home to the best local hot spots and entertainment. Our care doesn't stop after you reserve. Our team is on call around the clock for any needs you may have. Do you need a recommendation on which home is best for your party, how to get to and from the airport, what to eat, or where to shop? We're here to help. Our hospitality team is always available to share their local knowledge of the numerous food, art, shopping, and entertainment options Orange County has to offer. Arrive and depart at any time - our keyless entry is secure and allows your whole family to access the home. From our freshly laundered sheets and towels to the extra blankets in the closet, we've got you covered. In addition to toilet paper and hand soap, each shower is equipped with shower liquids including shampoo, conditioner, and shower gel. The kitchen is fully stocked with cookware and dinnerware, as well as brand new stainless steel appliances. We have all the conveniences you'd expect in a modern home, like a dishwasher, A/C, heating, wifi, and laundry supplies. 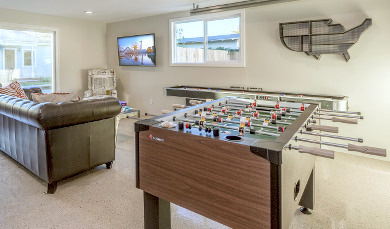 Our game rooms are equipped with fun activities like shuffleboard, foosball, and classic arcade games. 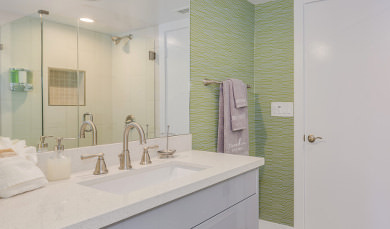 We’ve sourced the best local architects in Orange County to help us refurbish our homes. Expert designers with impeccable taste come in and help us furnish our homes to make them particularly beautiful and comfortable. Our designers and home stagers give each home an elegant touch. Still deciding which home to choose? Send a message to our hospitality team, and we’ll be happy to answer any questions you might have. Select from our variety of homes ranging from 3 to 6 bedrooms. If you have questions, don’t hesitate contact a booking agent. It’s easy to make a secure online payment. Key information such as the address, key code, and wifi details will be sent to you three days prior to your check in.